At an abandoned MTA-owned railroad spur in Long Island City, near “the busiest railroad junction in the United States,” sits a new community run urban farm called Smiling Hogshead Ranch. Because they have an official written agreement with the owners–the state agency, they can work with local schools, do employment training with the Fortune Society, and do they work they want to do–help steward the land to grow food for the community, says, 596 Acres Executive Director Paula Z. Segal. 596 Acres fills a gap between the community and the land owner and often makes it possible for people to use land that owners don’t know what to do with, says Segal. 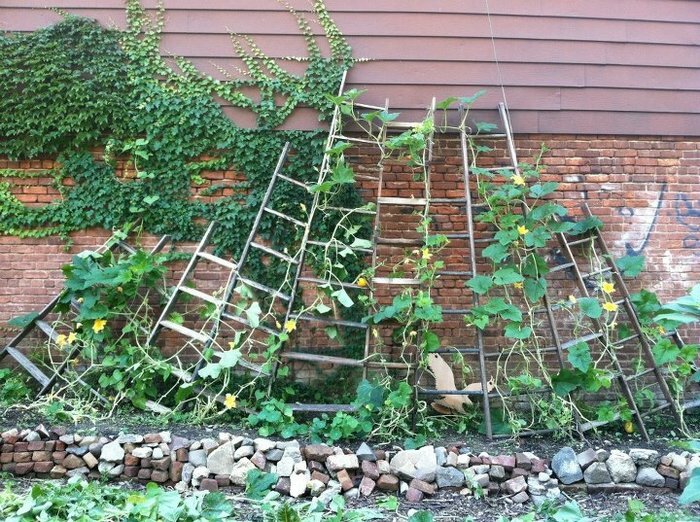 596 Acres identifies vacant lot opportunities, often in partnership with community members and groups who are interested in using the land for gardening and other community efforts. 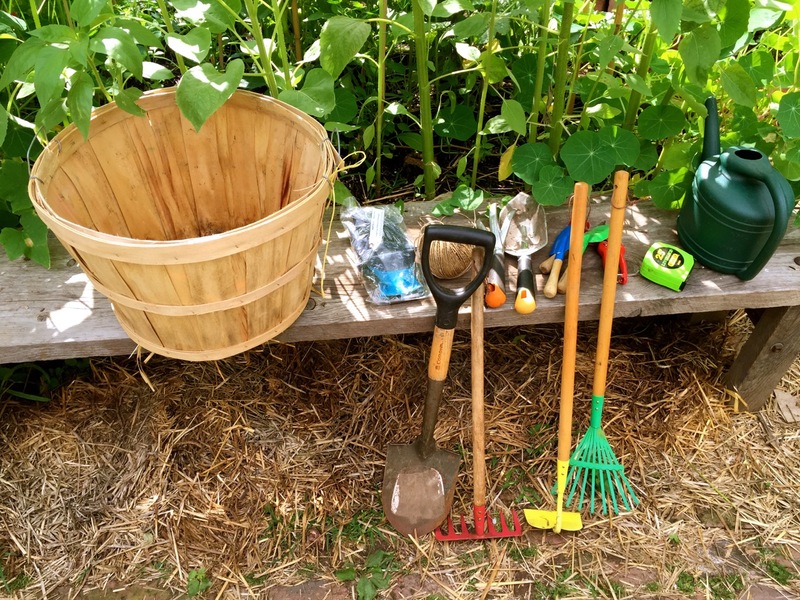 “Important solutions to climate change and food security, such as growing food locally, community supported agriculture efforts and other organizing action are locally-based and community-driven solutions, says Segal. And people need access to land and public space to do this important work,” she says. 596 Acres helps make this happen. 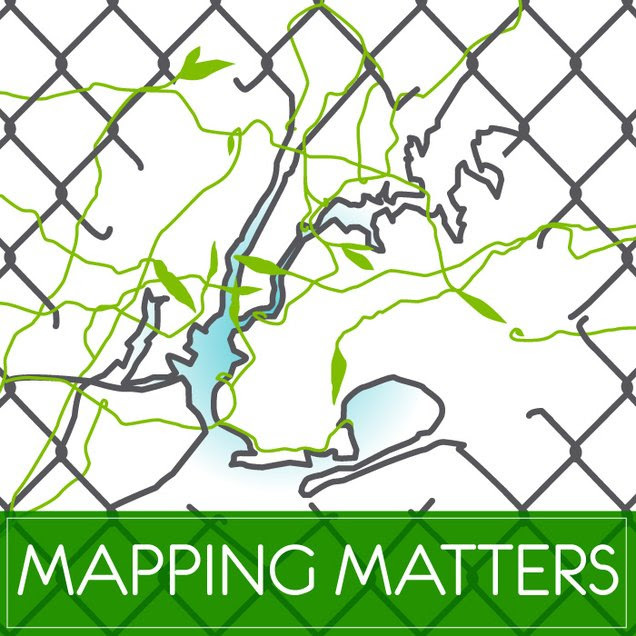 Hundreds of acres of vacant public land are hidden in plain sight behind chain-link fences in New York City, concentrated in neighborhoods disproportionately deprived of beneficial land uses. We are building the tools for communities to open all these rusty fences and the opportunities within them to improve the areas they live in. 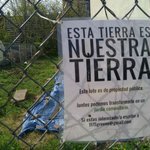 In response to a steady stream of inquiries, in 2013 we expanded our work to support communities organizing for control of warehoused private land. In addition to helping identify vacant lots–indeed, the organization is named for what they estimated as originally over “596 acres” of potential land for use by the community–they also help community members and groups campaigns appropriate to those opportunities. The best opportunities for land access are usually those where there are few competing interests, such as the MTA or Housing Preservation and Development (HPD) owned parcels that are too small to build on or otherwise make enough money, so they may be willing to allow use by the community, says Segal. The MTA often gives leases to community groups and organizations who want to use the lot, which gives you full legal property rights over the lot for the term of the lease, says Segal. HPD is often willing to either give short-term use agreements, which are less secure legal rights, but do give you the right to use the lot until the owner decides to revoke that the right, notes Segal. In some cases, owners like HPD may even be able willing to have 596 Acres help you use a state law to that enables you to turn the lot into public park land. This would then put the lot under the umbrella of the New York City Parks Department and become an official GreenThumb NYC garden, says Segal. 596 Acres helps educate local community boards where vacant parcels are located about land access issues, including presenting on behalf of community members, and making special maps of certain districts for communities to use to advocate to officials. They also give the community members other tools to advocate and move the process forward to get a meet MTA or HPD requirements to get a lease or license, such as help with applications to become a recognized GreenThumbNYC garden or working with other city agencies. This lot’s page has more information. Neighbors are working on turning this lot into a community-determined green space. Learn more and get involved. elsewhere See this lot on OASIS , a map that combines block and lot level information from a variety of government and community sources. Remember: Take a look at the notes at the the bottom of this page first to see if your neighbors have already found out this information! You can check online to see if there are any open Requests for Proposals (RFPs) for this lot. 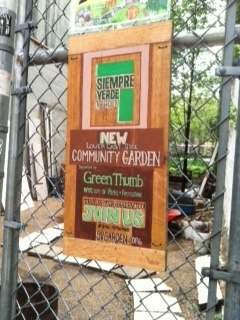 If you are interested in starting a community garden at this site, please contact GreenThumb. Their number is (212) 788-8070. Check out Who Represents Me? NYC, which can help you find the elected officials for the area around this lot and when the next community board meeting will happen. Ms. Granada runs the day care next door and would love to turn this space into a kid-friendly garden with a swing. She is putting together her core volunteer list (you can be on it!) and gathering support signatures from the residents on the block. Let’s be growing by spring! We have heard from expert sources that housing development here is VERY unlikely, making this an excellent place to organize a garden and then rally for its permanence. I just put a sign on this lot and met the next door neighbor, Clifford Granada, whose family runs a daycare with 16 kids out of the home. Clifford is already planting in his own yard and thinks a garden would be great for the kids. It would also give the people who live on the block a reason to get to know each other. 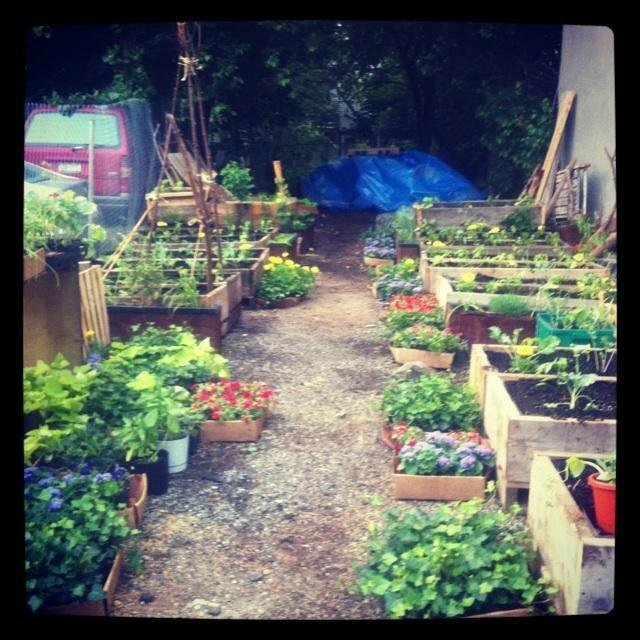 The block has no civic association but Clifford thinks he can get the neighbors to agree that a garden is a fine idea. And he thinks the parents of the daycare students would make a good initial core group of volunteers. 596 Acres just helped its 26th lot become an official park, called Mandela Park in Harlem get its GreenThumb NYC license. 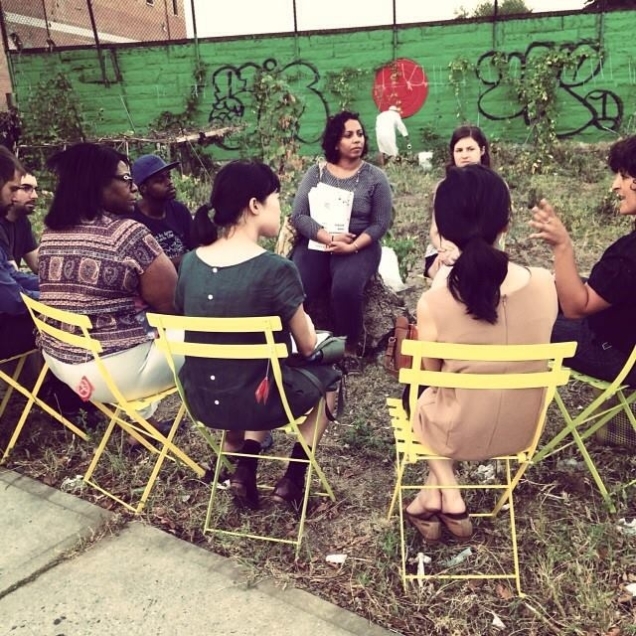 It also has recently offered its experience, advice and technical assistance to help land advocates in other cities, like Philadelphia and Los Angeles, create their own land access advocacy tools, such as Grounded in Philly and LA Open Acres, which is launching on September 23. You can find additional land access opportunities and successes or subscribe to their newsletter on the 596 Acres Web site. 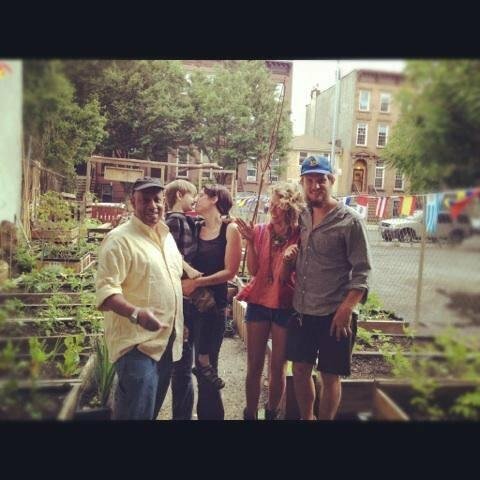 NYC Foodscape is proud to serve on the Host Committee for 596 Acres’ upcoming benefit on October 2, 2014 at Galapagos Art Space in DUMBO, Brooklyn (16 Main Street). Come celebrate some of 596 Acres 26 community-managed open space successes and help make future urban agriculture and community land access a reality for more community members and groups in New York City!! a dance party on the stage with DJ Stylus. personal map creations with J McDonald. All contributions above the $50 per person ticket price are tax deductible to the extent allowable by law. Host Committee: Kristin Booth Glen, Rachel Dobkin, Suzanne Chilcote, DW Gibson, Kalin Callaghan, Jason Sinopoli, Dylan Latimer, Aziz Dehkan, Danielle Hlatky, Liz Barry, Moses Gates, Carolyn Zezima & Kris Anton. (6) advocating for municipal agencies to increase participatory decision-making surrounding public resources. We create beautiful print materials as public education and documentation of our collective efforts creating our cities. 596 Acres is a project of the Fund for the City of New York.